What Is a Crochet Chemo Cap for Cancer? A chemo cap is a hat intended for wear by a cancer patient who is losing, or has lost, his or her hair due to chemotherapy or radiation treatments. Chemo caps, also called chemo hats, are a gift made with love. They help people who feel uncomfortable with their hair loss to embrace a new sort of style. In that way, chemo caps can be both comforting and empowering. Chemo caps are popular crochet, knitting, and sewing projects. Many crocheters and knitters enjoy creating chemo caps for charity. Local cancer centers and medical centers may welcome donations, and you can also donate them to various organizations serving cancer patients. See ​charities that accept crochet donations and check locally if you want to donate chemo caps in your area. Before you do, there are a few things that you should take into consideration. When crocheting or knitting chemo caps for donation, it is important to choose soft, wearable yarns. The skin of the scalp is very sensitive during and after chemotherapy, and may even be blistered or have sores. Avoid using wool yarn, which can irritate sensitive skin. The Knots of Love charity has compiled a list of approved yarns that have been tested by cancer patients and found to be acceptable. They only accept caps made with the approved yarn. You may make chemo caps for other organizations using a different yarn. However, it should be in keeping with these same guidelines. After all, the point of a chemo cap is to comfort the wearer, so you want to make sure that the cap itself is comfortable. The chemo cap pattern you choose should produce a thinner, seamless cap. Avoiding lumps and seams is better for comfortable wear. Another consideration is that the pattern should be one that conceals the head rather than one where you can see through the weave to the scalp and the effects of the therapy. The person undergoing therapy may be bald or having hair coming out in clumps. This is something they may prefer to keep hidden. Therefore, you probably want to think simple when choosing a chemo cap pattern. A basic single crochet beanie is a good choice. It isn't openwork, so it won't be too revealing, and it is snug and seamless. It is also important that the finished cap is fragrance-free, including perfume, smoke, and pet odors. During treatment, chemotherapy patients can be very sensitive to any smells, even if they are ones they used to tolerate or even enjoy. It is wise to launder the cap before donating it or giving it to a patient you know personally. Use a laundry detergent that is fragrance-free and do not use dryer sheets, which often impart a fragrance. Be even more considerate than usual when crocheting chemo caps for charity. When choosing a color, think of fun, trendy, colorful, and stylish yarns that meet the other requirements for being soft on sensitive skin. You want to produce a cap that your recipient can wear in a variety of circumstances. Those include business environments, while shopping, dining, socializing, attending public events, and relaxing at home. Don't assume that the recipient feels so ill that she (or he) doesn't leave the house, clinic, or hospital. Also, you want to make a hat that they will continue to enjoy after treatment when their hair grows back. Every single person has a different sense of style, so be open to making chemo caps in many different colors - including both solids and stripes. Knots of Love has dozens of knit and crochet chemo hat patterns that meet their recipient-approved donation requirements. They even have bilingual crochet patterns in Spanish. Furthermore, they have patterns for crochet headbands and for PICC line bandage covers, which are also accepted for donation. Crochet for Cancer is another organization that accepts chemo cap donations. They offer free crochet patterns on their site for both children's chemo hats and adult chemo caps. They also have patterns for hat embellishments such as flowers. Fave Crafts has a roundup of seven free crochet chemo cap patterns. One of them is even designed with pink ribbons in honor of people who are battling breast cancer. Brimming with Love also has free chemo hat patterns for people who crochet. They also have patterns for knitting and sewing, which you might like if you are a multi-crafter. 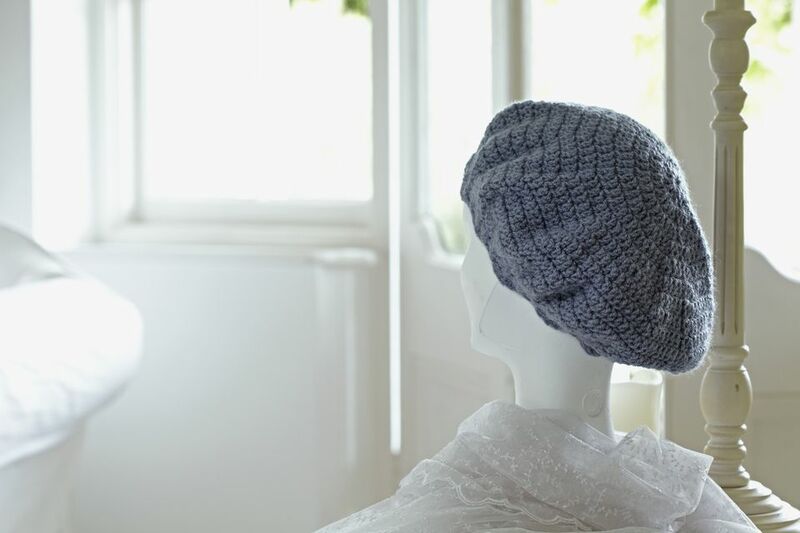 If you sew, you might also want to visit this list of chemo hat and turban sewing patterns. Be sure to check with the organization to which you plan to make a donation to ensure your project meets their requirements. In some cases, they may already have enough chemo caps and they can suggest other items they would prefer you create and donate.